Is there one single weight loss product that’s the perfect choice for everyone? No, of course not – but there are options that work for a wide majority of people. At Rancho Wellness, we would never recommend a treatment without going over your history, your goals, and your concerns. For many people, after a through process of assessing their needs, Opti Fast is the best option for sustained weight loss. We know that you have questions about this option. We know that you may have never heard of it and may be starting from zero, or you may have heard anecdotal stories from friends or family. If you have questions about this or other weight loss options, we recommend that you contact us at 909-483-7800 to set up your appointment. You can also read on to get answers to some of the most frequently asked questions we get. Why do you recommend Opti Fast for weight loss? Our team recommends Opti Fast as a great way to replace meals and lose weight. It’s designed to be used only under medical supervision. The first stage of the program replaces all meals with shakes that are very nutritious. They’re premeasured and calories are already controlled. You’ll see very fast results with Opti Fast, which is a great way to keep you motivated to continue on your health journey. It’s easy to prepare these shakes and many of our patients love that they don’t have to choose between foods, make decisions about what and when to eat, or track anything. Essentially, you just drink the shakes throughout the day and enjoy rapid weight loss. It’s a very simple plan. What are the other benefits of Opti Fast weight loss products? Besides the main benefits of rapid weight loss and how simple the program is, there are a number of other benefits. First, you get medical monitoring to ensure that your weight loss is done safely. We give you one-on-one guidance to help you make lifestyle changes that can be sustained. Once you’ve gone through the first stage of rapid weight loss, we’ll start gradually returning you to full meals. However, you’ll have coaching through this experience to ensure that you learn the right way to introduce food back into your life. We will also provide ongoing support to help you maintain the weight you’ve lost. What are the benefits to weight loss? At Rancho Wellness, we can help you with a wide range of wellness services. That said, there are a number of chronic medical conditions that can be helped by losing weight. They include diabetes, osteoarthrosis, high blood pressure, heart issues, and high cholesterol. 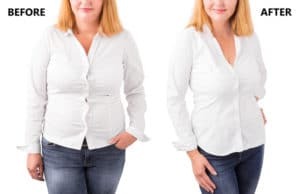 If your weight has negatively impacted your life or your health and you’re ready for a serious change, then Opti Fast may be the answer for you. The first thing to do is to call Rancho Wellness at 909-483-7800 to make an appointment. We can assess you and help you find the right options for your particular needs. Are You Surprised By 6 of the Most Common Health Issues for Senior Citizens?